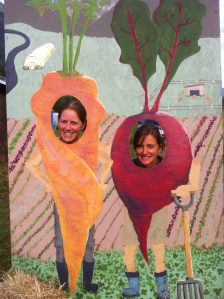 Rootdown Organic Farm is a small-scale, organic farm situated in the Pemberton Meadows, British Columbia. 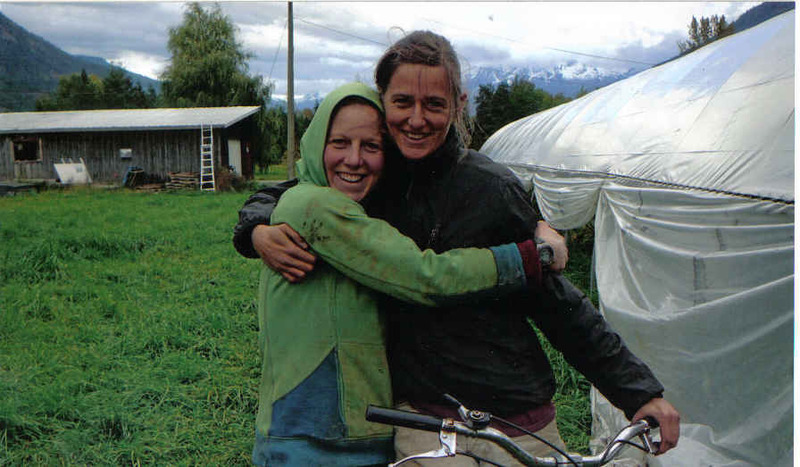 Started in 2009, the farm is run by Simone and Sarah who met in 2008 at the UBC Farm at the University of British Columbia in the Sowing Seeds Apprenticeship program. Surrounded by mountains, the farm is blessed with a flat, fertile valley bottom, bordered on both sides by glacial rivers. Currently, the girls have 2 acres of mixed vegetables for summer production and winter storage. Additionally, Sarah raises rare-breed pigs. Rootdown markets their products in Pemberton and Whistler to restaurants, grocery stores, through their summer and winter CSA Harvest Box Program. ummm Gav… it’s McMillan ! (not Mac) quick change it before she notices !! tee hee ! Looks like fun… I’m jealous! I think you should train your local bears to defend your veggies from pesky dogs, coyotes and racoons. Hi Simone, wearing the Ecuadorian football shirt we bought together, I don’t doubt (!) – you inspired my first forays into cooking, and here you are growing the food – I salute you!